As human beings, we all have our unique quirks and habits that we fall into without even thinking about them. While they make complete sense to us as individuals, they often appear bizarre to those around us. The great and powerful are just as susceptible to this human tendency. 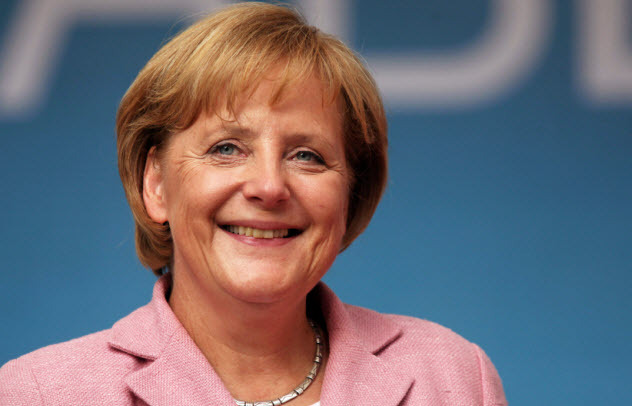 German Chancellor Angela Merkel spent 35 years of her life in communist East Germany, where the lack of consumer items led to long queues and frequent shortages. Like those who lived in that time and place, Merkel still has a habit of hoarding food and household cleaners. He got up to his hijinks at the cafe while accompanied by his wife and security detail. The waitress said she initially tolerated the behavior, but after it continued for months, she made it clear she was getting annoyed with the prime minister. 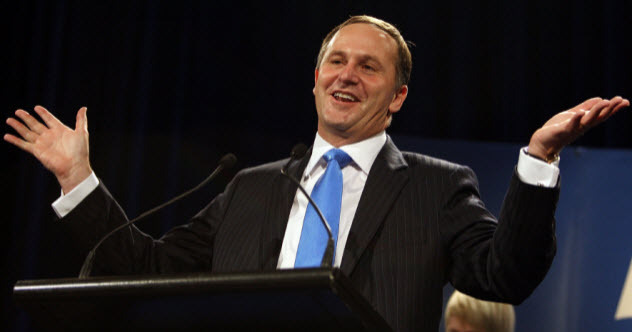 Key was criticized by both the Labor Party and the Greens, who called him weird and out of touch. The habit seems to be a chronic one for Key, as both The Guardian and John Oliver were able to find video of him pulling or creepily touching the hair of little girls. 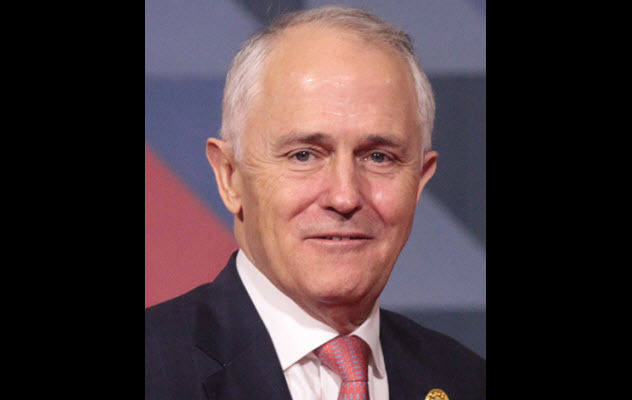 Malcolm Turnbull, the relatively new Australian prime minister who unseated the ridiculous Tony Abbott in a party coup, has an interesting history. He was a cover model for the men’s magazine GQ and a cofounder of Internet provider OzEmail. As a barrister, he once humiliated Margaret Thatcher’s cabinet secretary during a trial in which the UK sought to ban Spycatcher, the whistle-blowing memoir of a former MI5 agent, in Australia. Turnbull also has a strong Internet presence, the strangest aspect of which is an official government blog devoted to his dogs. It is aptly and economically entitled Dog Blog. Though the posts are rare, they are often written from the perspective of Turnbull’s dogs commenting on specific government policies. When Communications Minister Malcolm Turnbull visited Longreach with our old friend Maranoa MP Bruce Scott recently, Kelp and I told him he needs to throw remote communities a bone. They kept talking about broadbone, bonewidth, which was a bit confusing until they got onto mega bites and thousands of them which sounded very promising. The NBN’s satellite will start offering services next year, meaning our humans on cattle stations will be able to do things that Kelp and I do every day—like remotely monitoring livestock, watering points and fences. Humans can be so hopeless sometimes. India’s Prime Minister Narendra Modi is different from many of his predecessors because he has a keen interest in fashion and insists that all of his clothes are crisp and ironed. His half-sleeved kurtas (traditional Indian collarless shirts) are his trademark, bought from Jade Blue, a retailer he has patronized for decades. 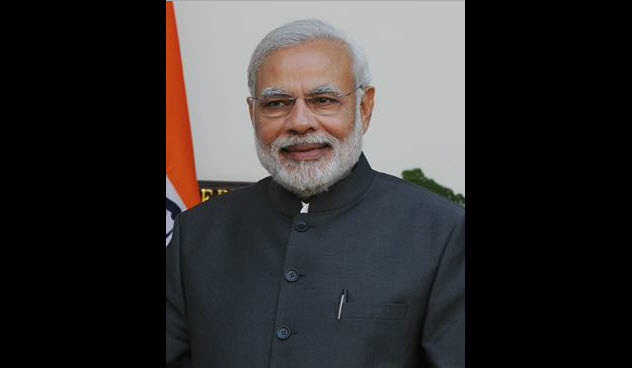 The company claims that the style of kurta he wears, known as the Modi kurta, was actually based on his idiosyncratic preferences. The Indian media avidly follows his eclectic fashion choices. Modi is especially known for changing his look during foreign visits. He picks clothing that emphasizes common cultural roots while visiting neighbors like Nepal and Bhutan but prefers a more modern, chic appearance for visits to the US, Germany, and Japan. In Ulaanbaatar, he wears traditional Mongolian robes. His interest in fashion may reflect his penchant for taking selfies. In 2015, Modi tweeted a shot taken with Chinese Premier Li Keqiang at the Temple of Heaven in Beijing, which was described by The Wall Street Journal as the “most powerful selfie in history” even though Twitter is officially blocked in China. Modi’s enthusiasm for uploading selfies to his Twitter account has been well received by his 12 million followers. He has appeared in shots with American actor Kal Penn and Indian actress Sonam Kapoor. But he became embroiled in controversy when he uploaded a selfie after voting in the national elections because he displayed the logo for the Bharatiya Janata Party, an act that his opponents charged was a violation of India’s election laws. There are many interesting facts about Pope Francis, such as his passionate love of football (soccer), his habit of breaking his doctor-prescribed diet with binges of ice cream and pizza, and his former job as a bouncer for a Buenos Aires nightclub. But perhaps his least papal-like passion is his love of the tango. In 2010, when the Pope was still known as Jorge Mario Bergoglio, he expressed his enthusiasm for the dance in an interview for the book The Jesuit. He had particular knowledge of the history of the genre, being a fan of tango singers Carlos Gardel and Julio Sosa as well as the famous tango dancers Ada Falcon, who eventually became a nun, and Azucena Maizani, to whom the Pope gave the last rites. When asked by the book’s authors about his own tango proficiency, the Pope was coy. “Yes, I danced it as a young man, although I preferred the milonga,” he said, referring to a dance style that predated the tango. The Pope’s passion was reflected in the celebrations for his 78th birthday, where thousands of people danced the tango in his honor in St. Peter’s Square. However, according to anti-Vatican Catholic group Novus Ordo Watch, this passion for a “sexually provocative, foul, and immoral” dance once condemned by the Catholic Church is proof of their conspiracy theory that Pope Francis is not a true Catholic. When Microsoft founder Bill Gates met with South Korean President Park Geun-hye in 2013, he caused an uproar in the South Korean media because he kept his left hand in his pocket as he shook hands with the president. While initially unnoticed by the Western media, the gesture caused controversy in South Korea because it was considered offensive and indicative of a sense of superiority over the other person. Depending on political inclination, some media outlets cropped the offending pocketed hand out of the picture while others blew it up on a green screen for in-depth analysis. The South Korean presidential office was forced to issue a statement: “Bill Gates took a similar pose for a picture when he met former President Lee Myung-bak five years ago. 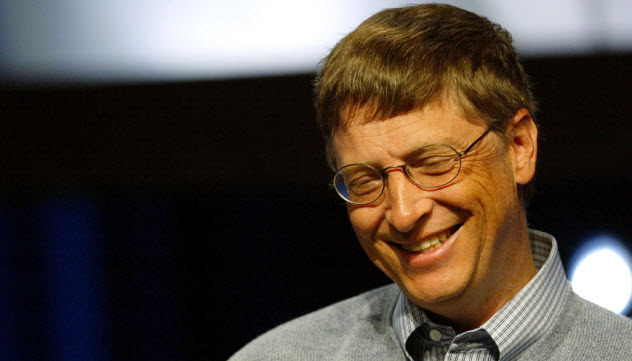 Just think of it as an American style of greeting.” Some US outlets also described Gates’s greeting gesture as weird even by American standards, and many soon uncovered other photographs of him doing the same thing. It simply appears to be a Gates idiosyncrasy. He has been photographed with his left hand in his pocket while shaking hands with figures as varied as UN Secretary General Ban Ki-moon, former French President Nicolas Sarkozy, and former South African President Thabo Mbeki. He seems to regularly keep his left hand, which is his dominant hand, in his pocket when both relaxing and meeting with powerful people. The only exception seems to be when he has to hold something in his hand like a stack of papers or a glass. The 14th Dalai Lama Tenzin Gyatso has long expressed a deep interest in science and technology, once saying that if he hadn’t become a monk, he would have become an engineer. His interest was apparently kindled when he was a young man in a monastery. He became so obsessed with the ticking of the gears of a mechanical watch that he took the device apart and put it back together successfully, apparently without any outside guidance. 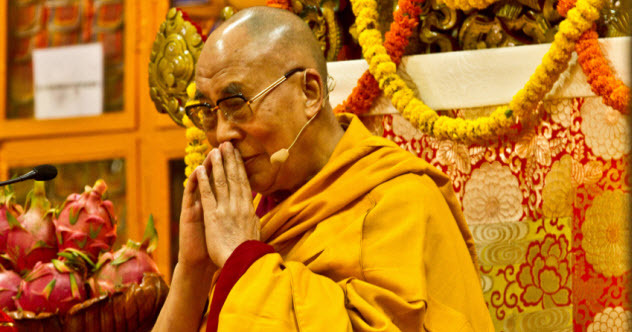 At age seven, the Dalai Lama received his first watch from President Franklin Roosevelt, a gold Patek Philippe that came with a letter expressing the US’s interest in relations with the Himalayan kingdom. But the young Dalai Lama was much more interested in the watch than the letter, which was misplaced until he was given a facsimile by President Obama in 2015. The Dalai Lama took great care of the watch, a rare model equipped with a perpetual calendar displaying the phases of the Moon and the days of the week. He still wears it to this day. 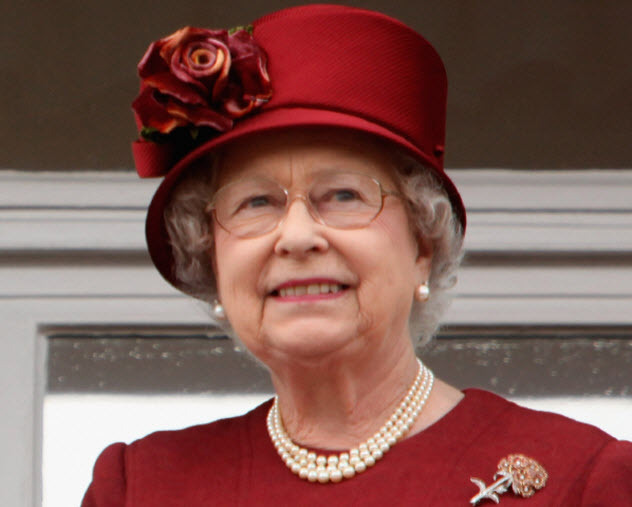 According to unofficial royal biographer Brian Hoey, Queen Elizabeth II has an interest in animals beyond her well-known, jealous possessiveness of her Welsh corgis. Besides being the rightful co-owner of every swan in the UK, she has vowed to help the red squirrel population increase at Balmoral Castle. She has even extended her royal protection to a colony of bats residing in the main hall of the castle. Her staff is forbidden to interfere with them, despite the significant increase in cleaning tasks that a roosting colony of bats causes in a castle. The fact [is] that the queen goes batty every afternoon, and by that, I mean the queen likes to collect the bats who nest up in the higher reaches of the great hall. She brings them down with a large butterfly net on a long pole. And of course, in Britain, bats are a protected species, so she has to release them. They’re nocturnal animals, so they come back again every night. So she does it again the next day. 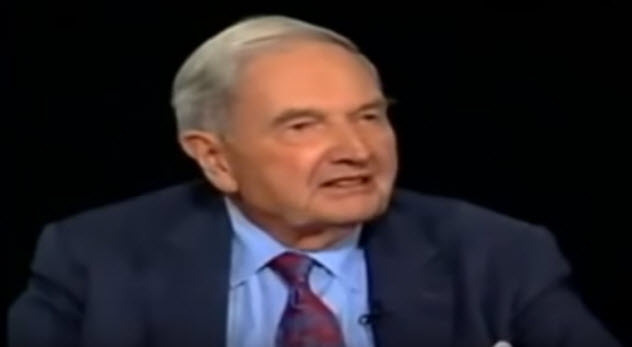 As of 2015, the oldest billionaire in the world is David Rockefeller Sr., who is worth $3 billion at the age of 100. He is also a passionate collector of beetles. In 1922, seven-year-old Rockefeller retrieved his first specimen when he picked up a large brown beetle (Parandra brunneus), took it home, and put it in a jar. Today, the Rockefeller collection of Coleoptera includes about 90,000 beetles kept in customized, airtight, hardwood boxes stored in cabinets at his Pocantico Hills residence. His passion became a lifelong interest. At Harvard University, he received his only “A” in a graduate-level entomology course. Even when he was sent to fight in Algeria in 1943–44, Rockefeller continued to collect beetles. He later participated in or sponsored a number of beetle expeditions in the American Southwest, Mexico, and other parts of Latin America. He has about a dozen beetle species named after him, including the rare Mexican high-altitude scarab Diplotaxis rockefelleri. His collection features a number of beetles that Rockefeller collected personally from these countries: Algeria, Austria, Brazil, Ecuador, France, French West Indies, Greece, India, Israel, Italy, Kenya, Liberia, Mexico, Peru, South Africa, Spain, Tanzania, Trinidad and Tobago, Tunisia, the US, Venezuela, and Zimbabwe. His reasons for his interest in collecting beetles seem to make sense. As Rockefeller told Forbes magazine, “There are more beetles than any other kind of animal. [They’re] easy to collect because they have firm shells [and] can be kept easily.” He also revealed that whenever he travels, he carries a jar to collect beetles because they’re everywhere except Antarctica. According to Newsweek, Russian President Vladimir Putin has a strict, idiosyncratic daily routine. Putin likes to work long into the night and rises shortly before noon as a result. For breakfast, he eats cottage cheese, porridge, or an omelette. He also enjoys quail eggs and fruit juice. His food is always fresh, dispatched daily from the estates of Russian religious leader Patriarch Kirill. This is followed by coffee, two hours of swimming, weight training, and hot and cold baths. His courtiers are accustomed to waiting up to four hours for Putin to finally put on his suit and be ready for work. He then reads daily reports by his domestic intelligence agency (FSB), foreign intelligence agency (SVR), and security detail (FSO). After that, he reads the press: the populist tabloids, the serious broadsheet newspapers, and the foreign newspapers. He can read German, but other foreign papers are usually translated for him. Putin dislikes modern information technology but sometimes creepily watches his entourage through a video link as they wait outside bickering and playing on their smartphones. Finally, Putin commutes to the airport for his frequent trips throughout Russia or to the Kremlin for his intensely disliked meetings with foreign dignitaries. 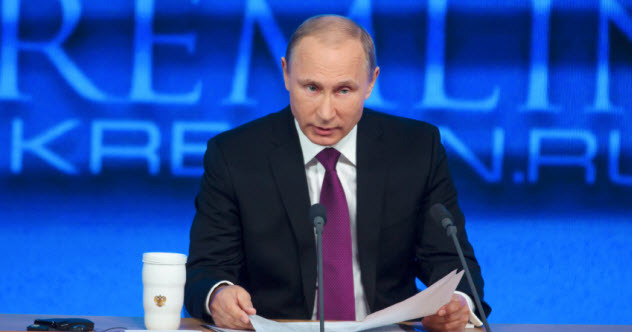 Putin has stated that he considers himself the hardest-working Russian leader since Stalin. His hobbies include ice hockey and studying English. Although he enjoys hunting, he has a soft spot for animals that are unafraid of him and refuse to obey him, which is ironic considering the nervous terror he strikes in the hearts of his entourage and underlings. David Tormsen wants to try the Vladimir Putin wake-up routine some time. Email him at [email protected].